Karungal is a panchayat town in Kanniyakumari district in the Indian state of Tamil Nadu. Karungal is the localized name of this town from the word "Karingai" which was again derived from "Tharum kai". Tharumkai Bhagavathy Amman temple is a very ancient temple situated in Karungal on the roadside of Karungal- Chellamkonam road. Originally Tharumgai Bhagavathy Amman Temple was situated on the top of Karingai Malai,a hillock situated near Karingai.Still we can see traces of stone slabs and building materials of this old temple on the top of Karingaimalai. Karungal is the predominant town in Killiyoor, the 234th constituency of Tamil Nadu. 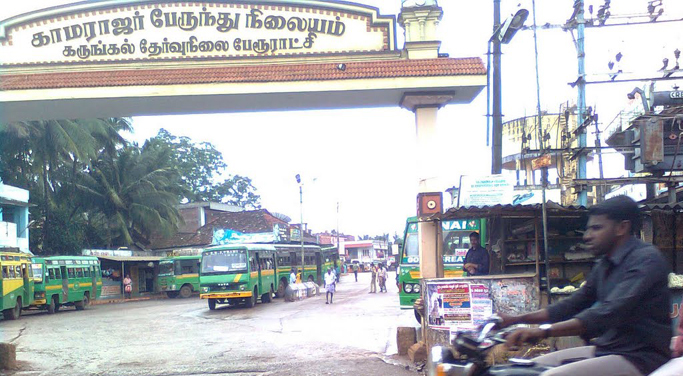 After Marthandam, it is the next well-known town, and it spans an area of over 19 square kilometres (7.3 sq mi). Keezhkulam is situated in the southwest, Paliyadi in the northeast, Thiruvithamcode in the east and Thikkanamcode in the southeast.